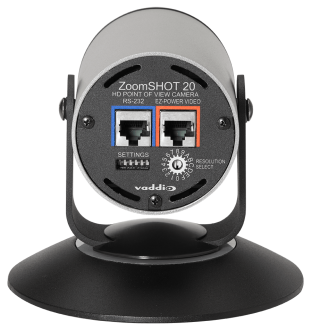 Vaddio’s™ ZoomSHOT 20 high definition point-of-view camera is built around a 1/2.8-Type Exmor high-speed, low-noise CMOS image sensor with a total of 1.3 Megapixels. 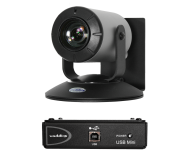 The ZoomSHOT 20 provides a 20x optical zoom with a 63-degree wide horizontal field of view and outputs up to 1080p60/50. Manual pan and tilt positioning allows for simple, yet precise control. 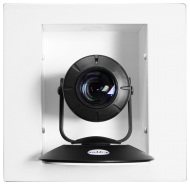 Vaddio’s complementary QuickSET mounting system offers simple installation by just positioning the camera to a required shot and locking it in place. 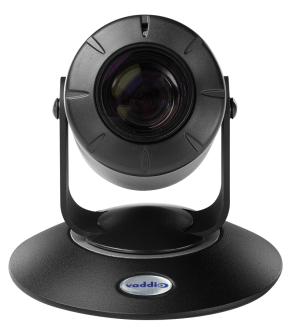 Capable of being used with any of Vaddio’s Quick-Connect™ Components, power, video and control all run over Cat-5 cabling. Outputs include USB 2.0 streaming.